This is where it all started for A&A back in the 1990s. C5 continues to be a great platform for supercharging due to the affordability and number of vehicles available. While some manufacturers have stopped supporting C5, we not only support, but continue to improve existing parts and design new ones. C5 is, and will continue to be, a great hotrod platform for some time. Our C5 supercharger systems have benefitted from all the innovations implemented in our C6 and C7 research and development. Each time we found a way to improve the C6 and C7 systems, we went back to C5 and did the same. The other guys just sat back and said “Our C5 systems are good enough” and have not updated their C5 systems in years. 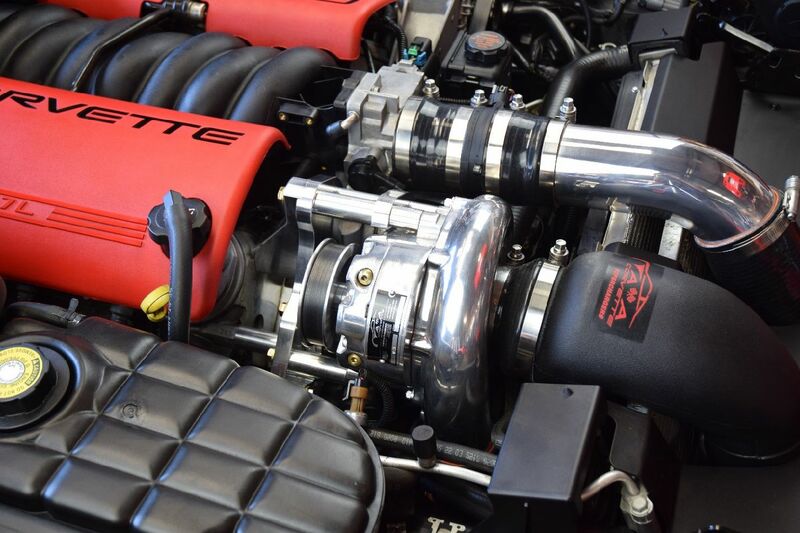 As with C6 and C7 we offer 50 State Legal (CARB EO# D-707) systems all the way up to 1000 RWHP race only kits. We also carry a full line of injectors, fuel systems, pulleys, belts, radiators and individual components you need to accomplish your goals. Also included is a build sheet showing each part as it was boxed for shipping and initialed by our shipping manager. C5 is a “Bottom Breather”. Incoming airflow is drawn in from under the car, rather than through a large grille opening as in later models. This requires a different approach as to how to get adequate airflow through the intercooler. 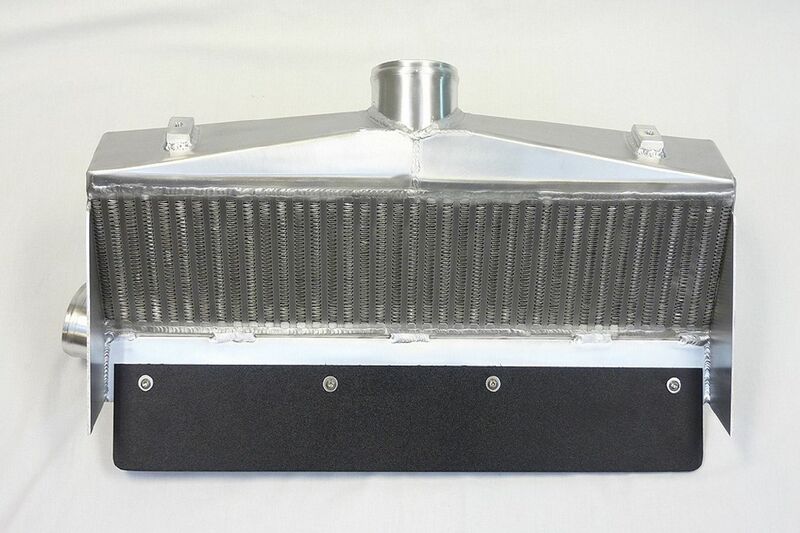 Just putting an intercooler in front of the radiator does little more than block the radiator. The factory shroud (that large plastic piece that slopes down from the top of the radiator to the front bumper) is gone, so what is there to force the air through the intercooler and radiator? Furthermore, with that shroud gone, what is there to stop the airflow from just going off into the fender wells on either side of the radiator as well as up into the bumper itself? The straight answer is NOTHING! Ours is the ONLY system that looks at this problem and actually does something about it. 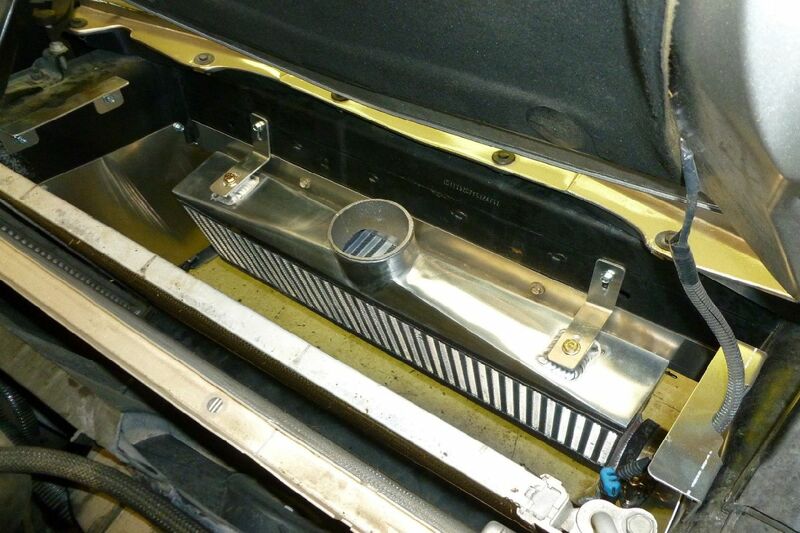 We have CNC formed aluminum panels that seal this whole area off so the airflow is trapped in the radiator cavity and forced into the radiator. This approach helps engine cooling tremendously. 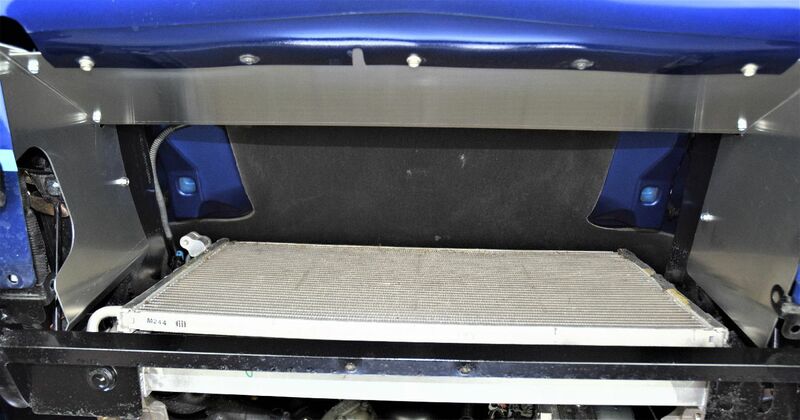 The full width intercooler is sealed tightly against the front panel and has its own “scoop” to grab the airflow and force it through the intercooler itself. 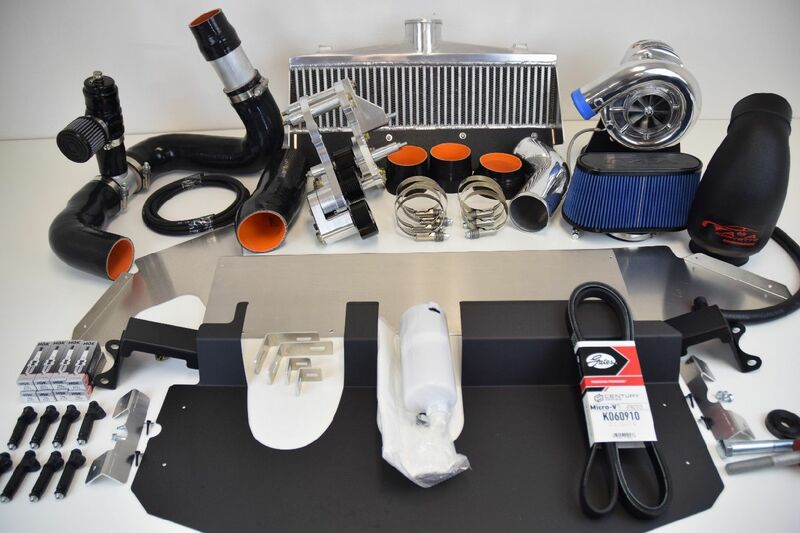 Again, we are the ONLY manufacturer to do this or, for that matter, anything at all to enhance airflow through the intercooler. LARGE GAP BETWEEN THE RADIATOR AND INTERCOOLER- MUCH BETTER ENGINE COOLING! 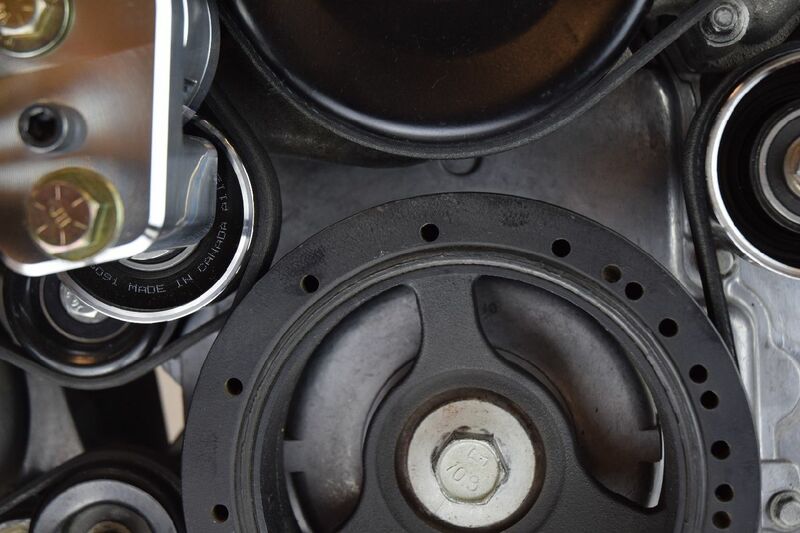 THE BELT TENSIONER IS ANOTHER AREA WHERE A&A IS KING. Each tensioner is machined from 9.6 pounds of 6061 Aluminum bar. The shaft is precision machined 4340 Chromoly steel. The tensioner rotates on German manufactured bearings that are precision fit much like an engine bearing. The bores are set for a certain amount of “crush” so that the shaft to bearing clearance is within the range specified by the bearing manufacturer. Each one is hand assembled at our facility and checked for proper spring tension with a digital torque meter. NOBODY else does that but A&A! NOW THAT’S A TENSIONER! 9.6 # OF ALUMINUM BILLET BEFORE MACHINING! That’s the quality side of the tensioner assembly. On the practical side, we have 3 internal spring settings. A 1000 HP drag racer obviously needs more spring pressure than a 600 HP daily driver, right? This can be accomplished with just one tensioner! We even have an optional spring for super high horsepower drag racers. There is also a “lock pin” so the tensioner can be rotated to the slack position and locked in place. This is a huge help when installing a belt, changing an alternator etc. Fighting the spring tensioner is a thing of the past. 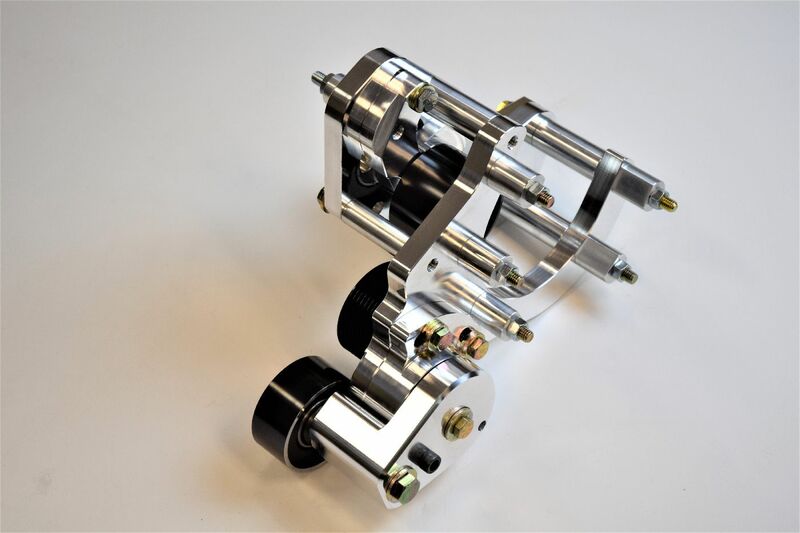 No other manufacturer has a tensioner that is even close to ours in both quality and practicality. OUR MOUNTING BRACKET ASSEMBLY IS ALSO STATE OF THE ART. Each plate is machined on both sides to assure absolute flatness and accuracy. 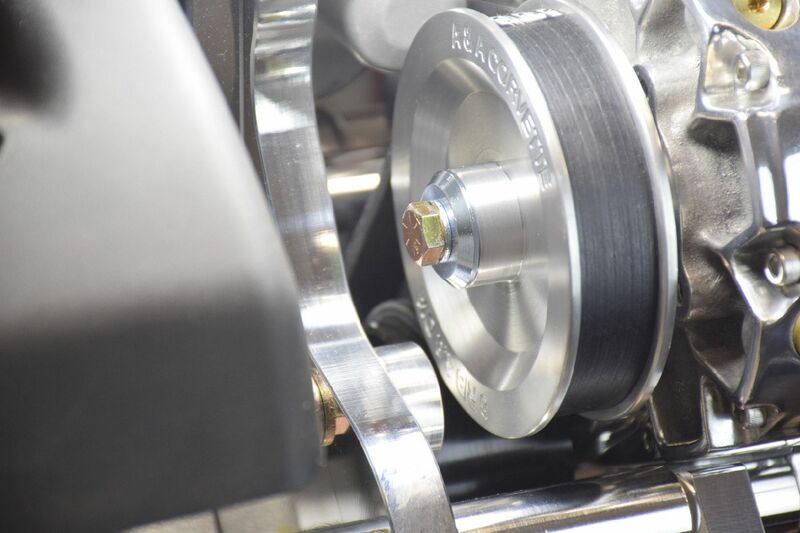 Super strong bracing, Grade 8 hardware, all steel pulleys with dual bearings, stainless or aluminum stantions for proper bearing support and our billet tensioner are all standard. 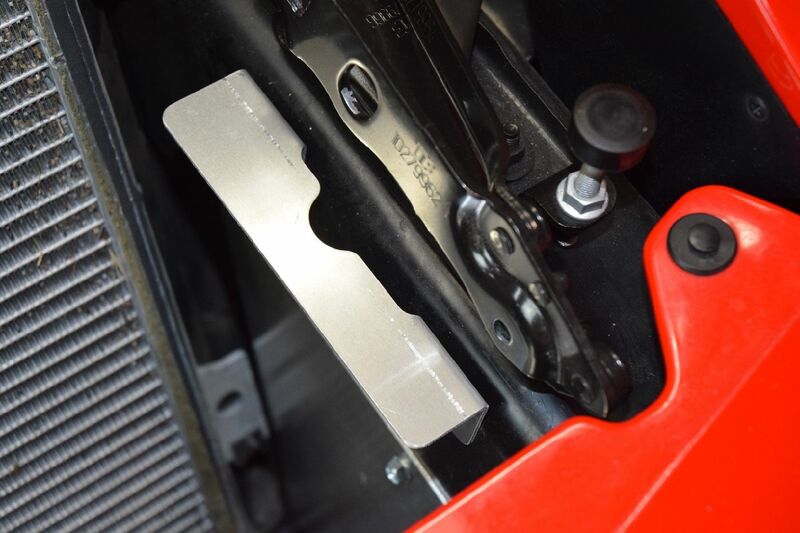 Our brackets are also set up to use 6 or 8 rib drive pulleys without modification, right out of the box. Our bracket assemblies have often been described as “jewelry”. Look at the overall quality of the machine work and components. It really is a work of art. COMBINE THIS MUCH BELT WRAP WITH OUR BILLET TENSIONER AND YOU HAVE A WINNER! SUPERIOR PLUMBING IS ANOTHER HIGHLIGHT OF THE A&A SYSTEM. Look how our plumbing is routed through the engine compartment. 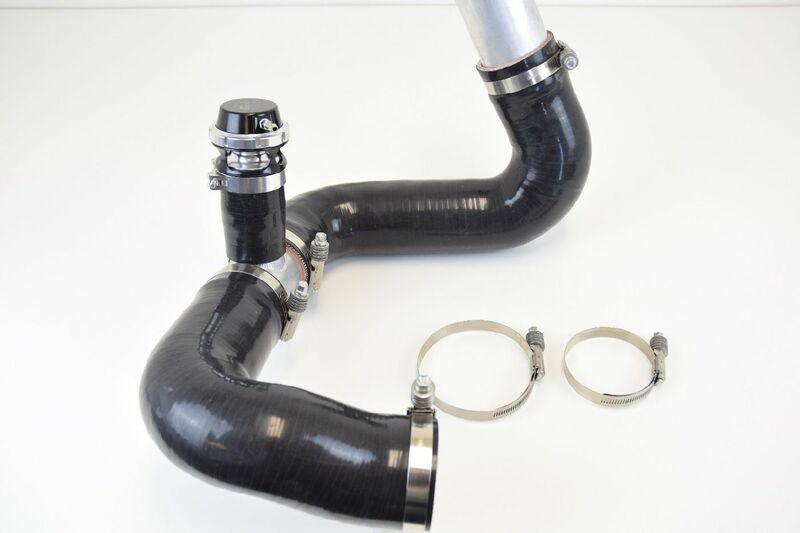 To get from the supercharger outlet to the intercooler you must go behind the sway bar, over to the right side of the radiator, and then up and over the front part of the skid bar assembly. Others use 90-degree rubber hoses connected with aluminum tubes. Their rubber hoses need to be contorted to make the odd angles needed. Not ours. Our silicone hoses are manufactured with the correct bends to get from the supercharger to intercooler without twisting or kinking. They are also extremely strong and oil resistant. Look at the picture below. Do you see any 90-degree bends? We also use stainless “Constant Tension” clamps on our charge tubing. 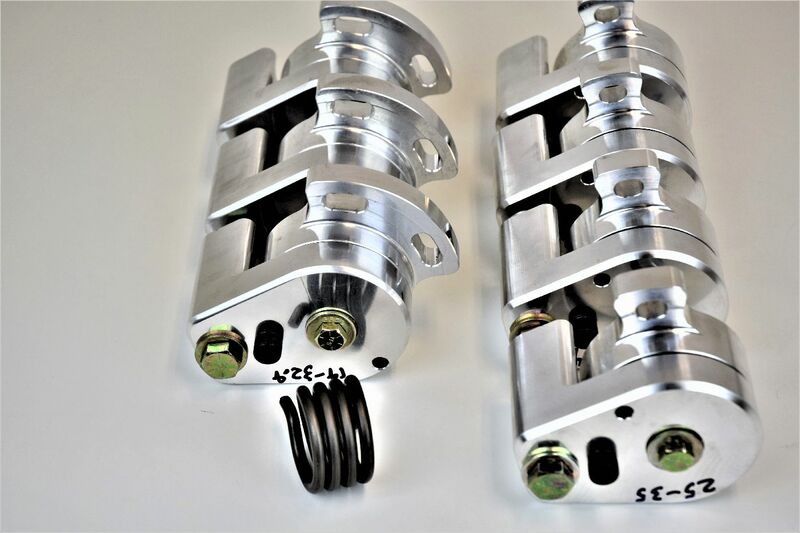 These clamps expand and contract to keep the connections tight at all temperatures as well as provide 360 degree clamping force. 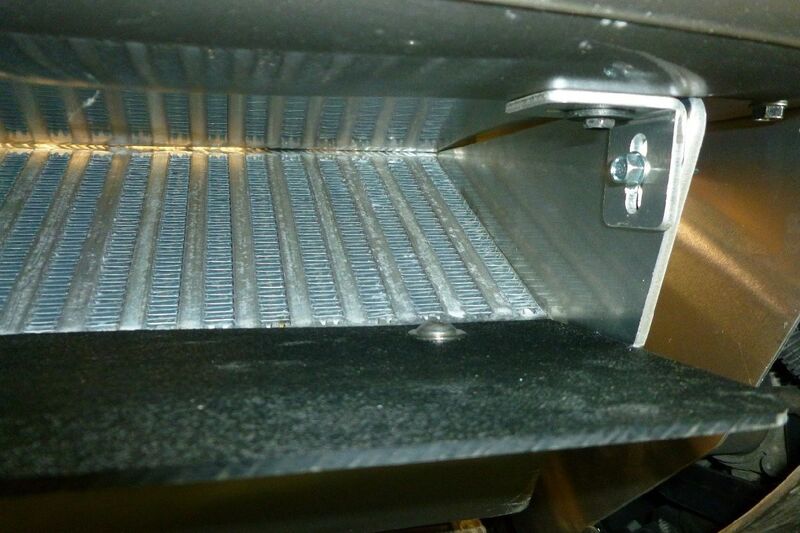 WE OFFER THE LARGEST INTAKE DUCT in a standard system. 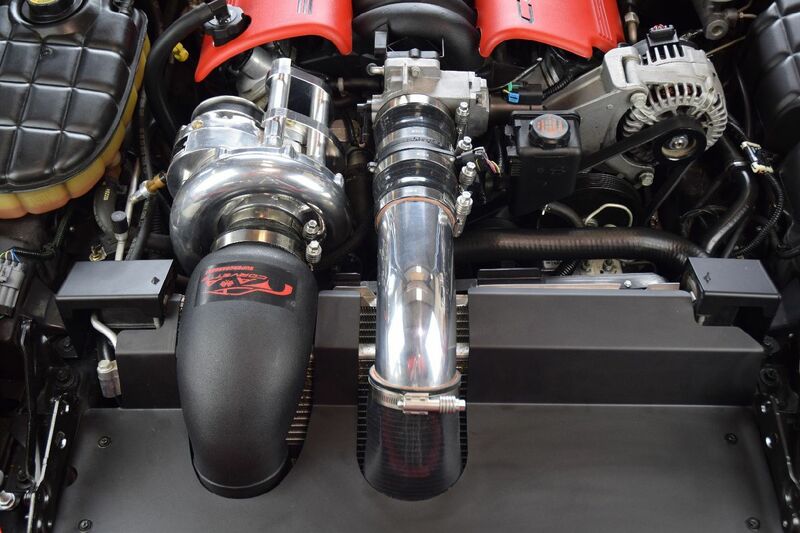 We designed it to clear the stock and most aftermarket radiators while maximizing airflow. 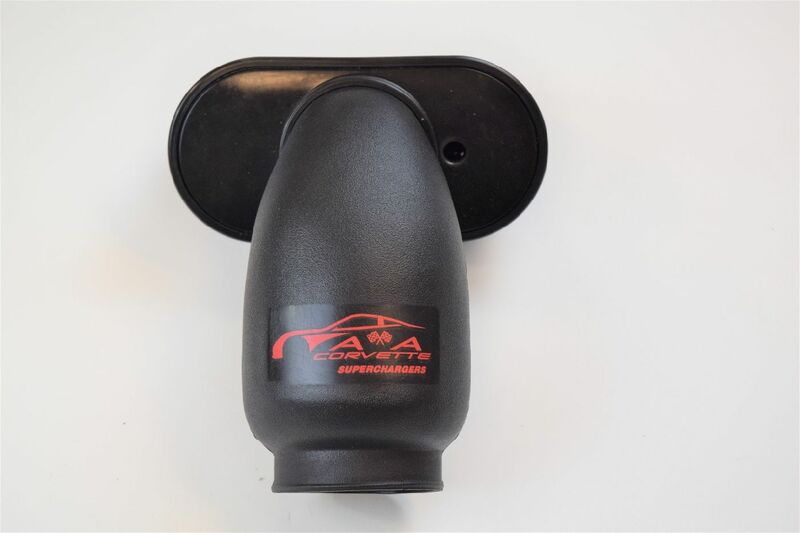 Ours is 4 ½” on the supercharger end with appropriately sized silicone couplers for the different head units available. The oversized end allows us to have a much larger cross sectional area at the pinch point where it crosses over the radiator. This area is about 35% larger than other designs. NEW RADIATOR HOLD DOWN BRACKETS: We manufacture laser cut, CNC bent brackets to securely hold the radiator, fan and AC condenser assembly in place. These brackets, in conjunction with our top shroud and mounting brackets make for a very stable and professional looking installation. Clearly the components and engineering we put into our systems is far ahead of the competition, but you need a powerful, efficient head unit to put it all together. We use Vortech quality head units in all our systems. 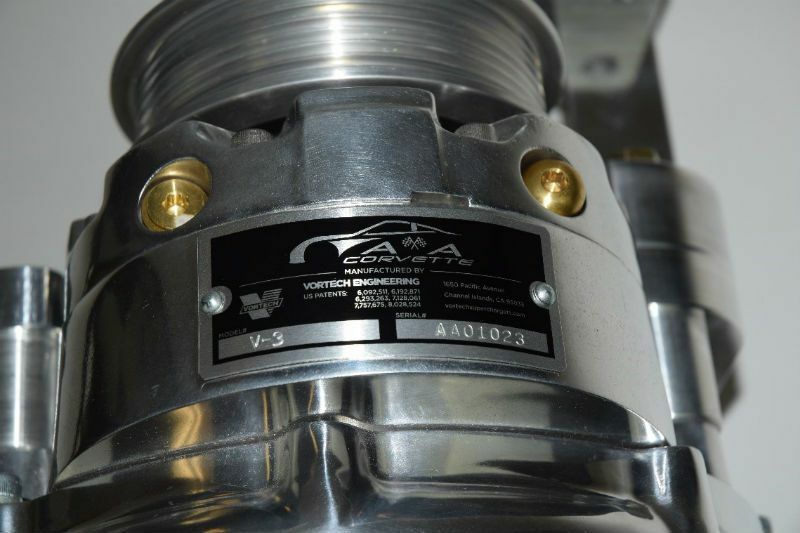 Vortech builds our head units to our specifications under a private label agreement. We offer head units of varying sizes to accommodate different horsepower levels. The YSi is the KING of this family of blowers. 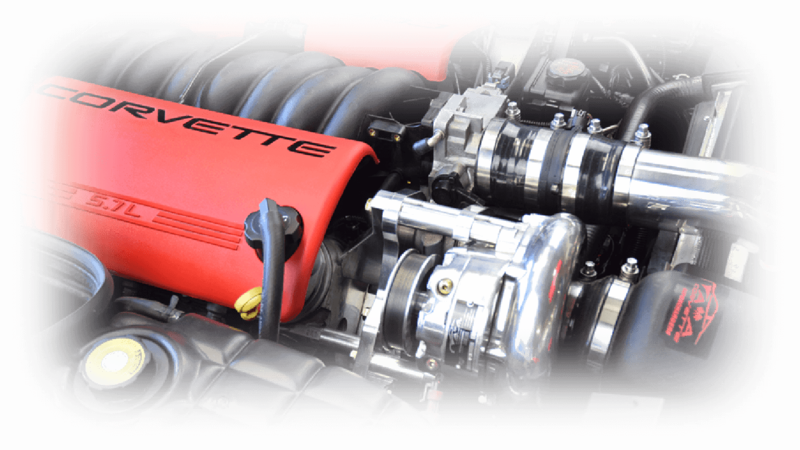 When combined with a properly built engine, 8 or 10 rib belt drive, our Secondary Drive and our Dual Pump Fuel System, the YSi is capable of over 1000 REAR WHEEL HORSEPOWER in a late model Corvette. Whether you are looking for a 550 horsepower street car that drives like a stock car on steroids or an 8 second drag racer. We can put a package together for you to reach your goals. Combine that with the unparalleled customer support we are famous for, there is no reason to go anywhere else.